ONE AND ONLY EVER GRADED 1952 BOWMAN!!! New to the hobby, this card is incredible. The one and only PSA graded GEM MINT 10 from the entire series of 1952 Bowman U. S. Presidents. 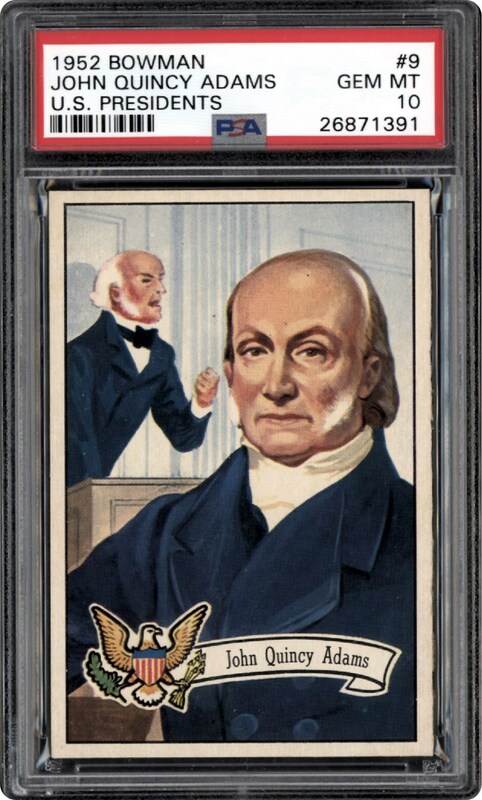 Consider that PSA has graded over 1000 of this series of cards and this is the one and only PSA 10 copy. recently graded, this card defies the odds to land in a perfect 10 holder. Strong centering, blistering corners and perfect coloring are all visible on this one of a kind find. Own the only PSA 10 1952 Bowman U. 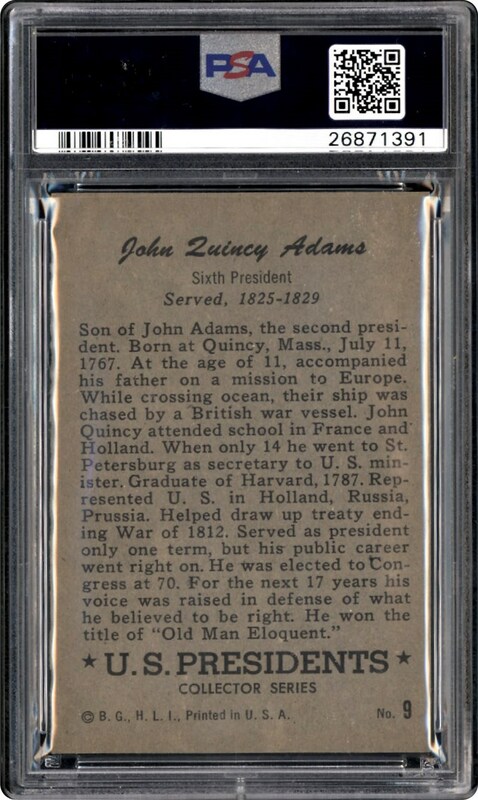 S Presidents card ever graded!! !